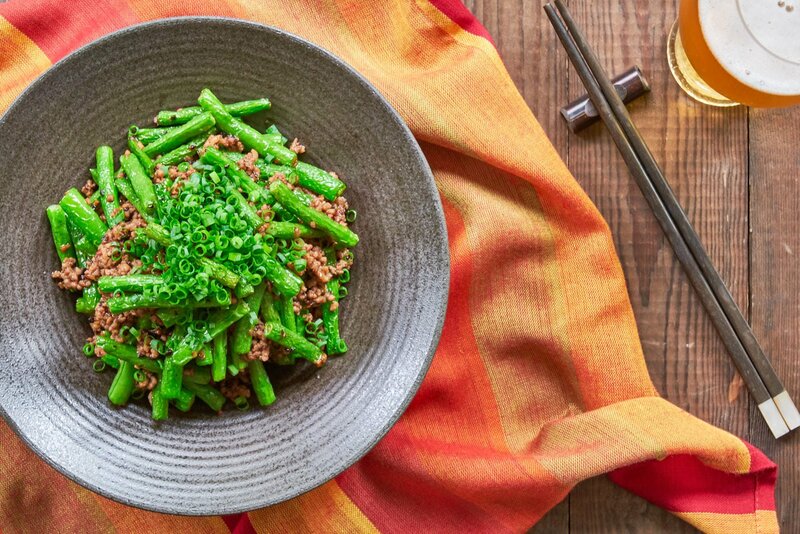 This delicious spicy green bean stir-fry comes together in just minutes from a handful of ingredients. It's loaded with tender green beans and savory pork and seasoned with caramelized garlic and black beans. Keep reading for my trick to ensure the green beans retain their color. 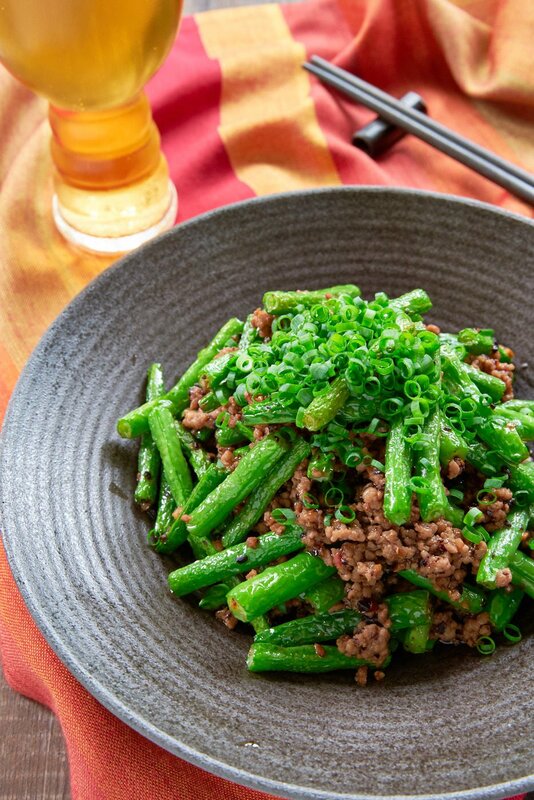 Although it’s a popular staple at Chinese-American restaurants, Stir-Fried Green Beans with Black Bean Sauce most likely originated from the Sichuan dish 豆角炒肉末 or “green beans fried with minced meat.” The original dish is made with equal parts long beans and meat along with plenty of chili peppers for a fiery kick. Growing up in Napa, this simple stir-fry was my mom’s favorite from the local Chinese take-out joint. 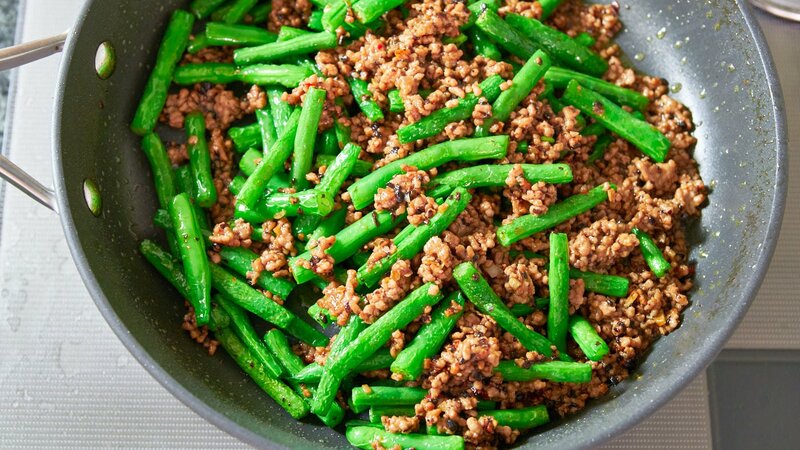 For me, I vacillated between the Singapore Noodles and Mongolian Beef, but what always struck me about this dish was how they managed to cook the green beans long enough to be tender, and yet they had an almost surreal green hue. The trick restaurants use to make their green beans tender without losing their vivid color is to blanch them in oil before stir-frying them; this is a nice way of saying that they are fried. The high temperature of the oil cooks the green beans through, making them tender, before the chlorophyll has a chance to break down. The resulting beans are vibrant green and tender without being mushy, and the wrinkled skin helps ensure you get some pork and black beans in every bite. The blanching does add an extra step, but you can do it in the same pan, so it’s not that much more effort. Because this is a dry stir-fry (i.e., no sauce), the meat itself becomes the seasoning for the beans. That’s why I like to marinate it so that it has enough flavor to go around. By adding a bit of potato starch to the marinade, it gels any liquids released by the pork as it cooks ensuring every piece of meat is juicy and flavorful. 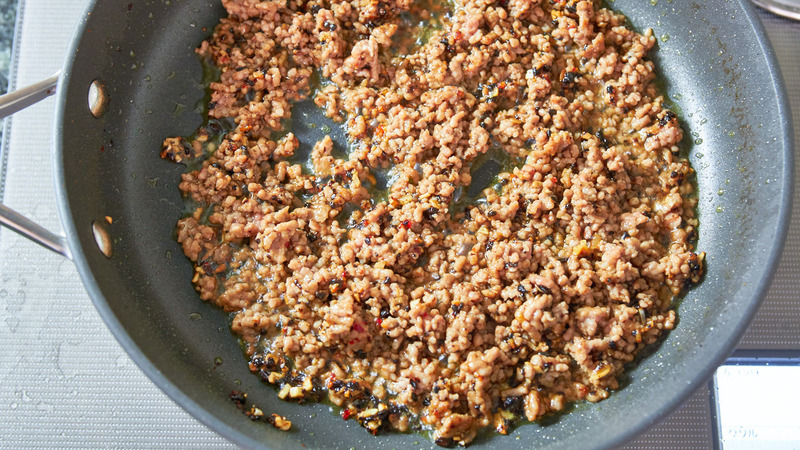 I like using ground pork for this because it’s flavor pairs so well with the earthy fermented black beans, but other ground meats will work fine. You can also use strips of meat cut to roughly the same length and thickness of the green beans. 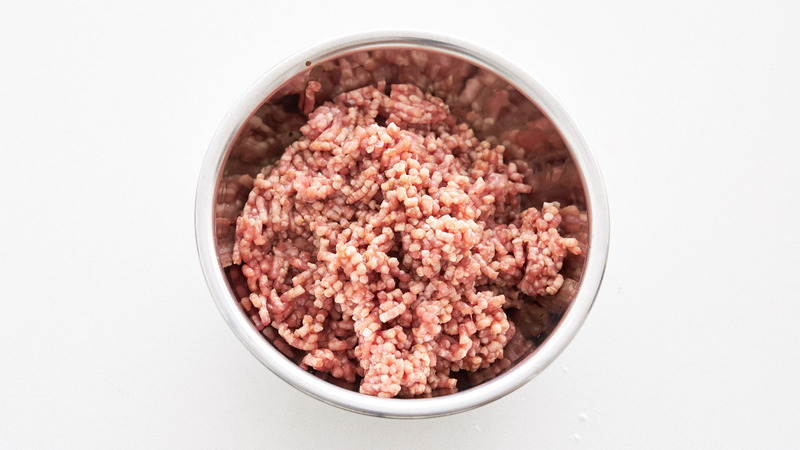 If you want to make this vegan, try using my plant-based ground meat. Like all stir-fries, this one comes together in a matter of minutes, which is why it’s important to have all your ingredients prepped and near your stove so you can toss them in one after the other. I get this one started off with the garlic and black beans to bring out their fragrance while boosting their umami. I love the way the funky fermented black beans play with the savory pork and verdant green beans. If you can’t find them or don’t like them, miso, oyster sauce or soy sauce are all reasonable substitutes. If you do end up using a liquid seasoning, you’ll want to add it in at the end once you’ve added the green beans. To add a bit of heat, I like adding a dollop of doubanjiang, which is a chili paste made with chilies fermented with fava beans, but you can substitute any Asian chili paste or leave it out altogether if you can’t take the heat. Because the green beans are already cooked through, they go in at the very end to heat them through and marry them with the pork. Make it Saucy – This is a dry stir-fry but if you like your green beans saucier, just dissolve 2 teaspoons of potato starch in 1/2 cup of chicken stock and pour it over the pork before you add the green beans. With Shrimp Paste – Instead of seasoning this with black beans and garlic, try swapping in some belacan (fermented shrimp paste) and shallots. Curried – ditch the black beans and start the stir-fry with garlic and ginger and then add finely diced onions. When they’ve caramelized, add some cumin seeds before adding the meat. Finish the dry curry off with a sprinkle of curry powder and salt before adding the green beans. To marinate the pork, stir the Shaoxing wine, soy sauce, sugar, and potato starch together and drizzle over the ground pork. Stir to distribute evenly, but don't over mix it (the pork should still be crumbly). 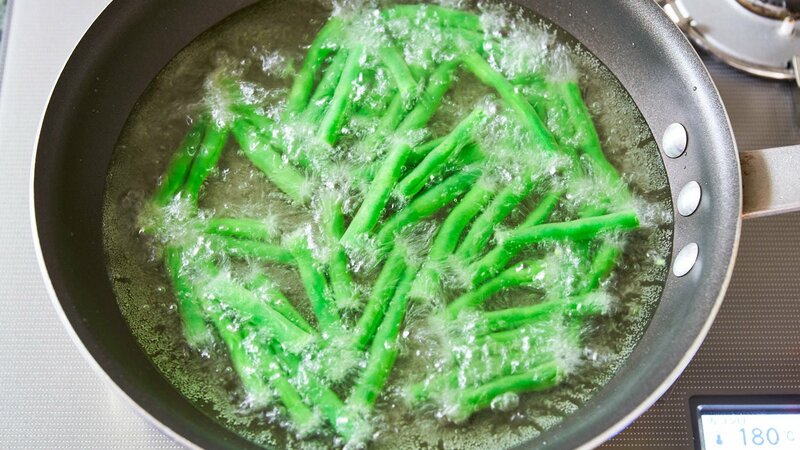 Use paper towels to ensure the green beans don't have any water on them or they will spatter when fried. Prepare a wire rack lined with a double layer of paper towels. 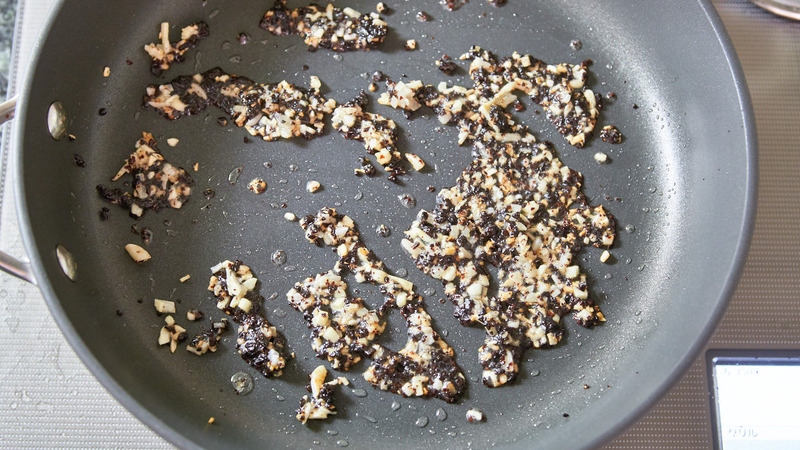 Add 1/4-inch of oil to a frying pan and heat over medium-high heat until the oil is shimmering. 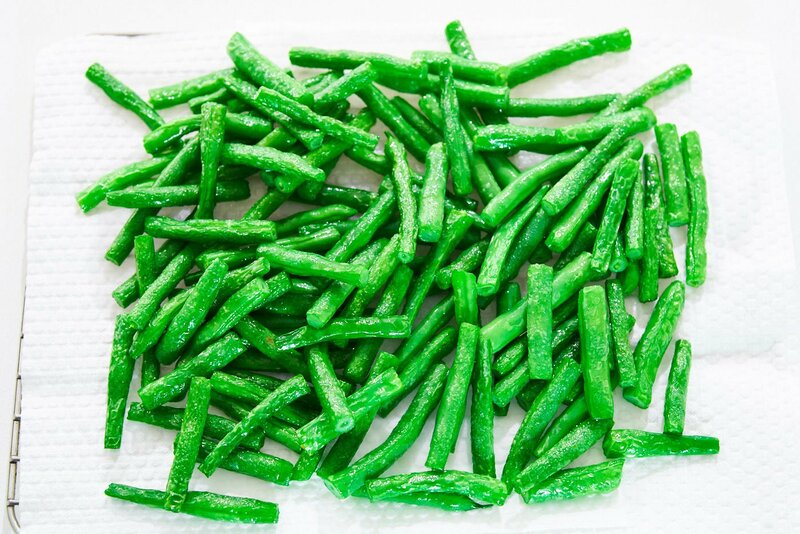 Fry the green beans in batches until they are vibrant green and tender (about 30 seconds). Transfer to the paper towel-lined rack to drain. Drain all but 1 tablespoon of oil and add the garlic and black beans. Stir-fry until the garlic is fragrant. Add the doubanjiang and give it a quick stir. 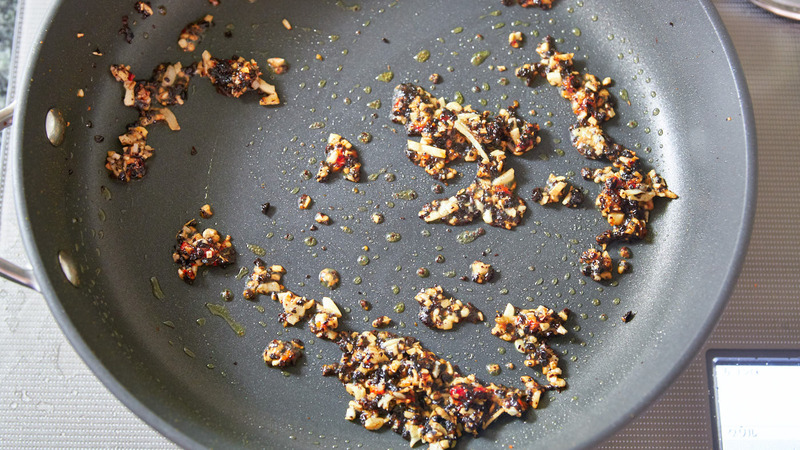 Add the pork, and stir-fry, using the edge of a spatula to break up the big chunks into bite-size pieces. When the pork is cooked, add the green beans and toss to coat evenly. 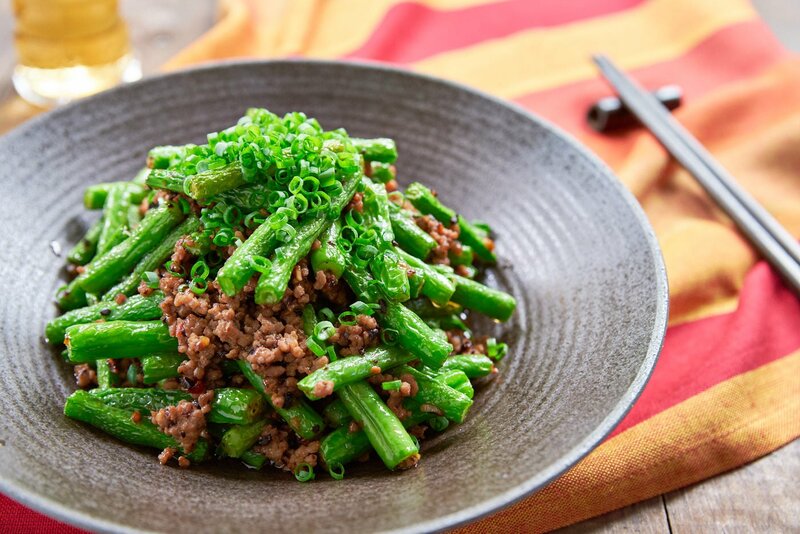 Garnish with scallions and serve the green bean stir-fry with rice. It was super delicious! I just crave for home cook dishes and this is quick and authentic! Hi Li wen, I’m so glad to hear you enjoyed it! I have a lot of other Chinese dishes (though they’re mixed in with Chinese-American dishes) here https://norecipes.com/cuisine/chinese/ so I hope you’ll try some others out.